Computer viruses have been spreading like the plague back in the days, compromising computers exponentially and causing grave damage to your files and your overall privacy. A virus is some sort of software that has got the ability to get transferred from one place to the next, infecting as many computers as possible. Having been masked as a harmless attachment of a received email or as an IM message, an image or a link, the virus can trick you into installing it on your computer and suffering from its maleficent nature. In avoidance of such negative consequences, you need to be on alert and take all the necessary precautions for immunizing your computer against such threats. Except for the common sense that you are required to have, when it comes to avoiding clicking on suspicious links and attachments, the adequate antivirus software is imperative. Why Is Antivirus a Must-Have? Nowadays, viruses and other malware have become a lot more sophisticated than they were in the past and recent reports have underlined the necessity to come up with more versatile, advanced and qualitative solutions against them. Without this layer of protection, viruses would have no opponent and they would penetrate our devices to have their way. It is crucial to detect the viruses promptly and efficiently, in order to schedule the respective defense and keep our device secure and risk-free. A great method for enabling our computers to be kept protected is the free online scan for viruses. With this contribution, viruses are highlighted on the spot and the user can go ahead with confronting them and removing them from the computer as soon as possible. You need to get this kind of alert, so that you can get your eyes on anything that might be proven dangerous for your computer. Knowledge is of the essence here, since ignorance results in severe problems for the smooth operation of your device. Below, we are going to highlight the best online virus scanners offered for free on the market to this day. This is of paramount importance, as they can save you from a great deal of trouble in the long run! So, let’s get started with our list of virus scanners that you can easily use for your computer, shall we? As you can see from their official website, this is a simple tool that allows you to check on any file or URL without delay. You upload everything up to 128 MB and then the scan begins. VirusTotal is a subsidiary of Google and all kinds of files, including RAR and ZIP can be scanned properly. All the files uploaded are shared with companies of Internet security and vendors of antivirus, since this is a universal battle against online threats. 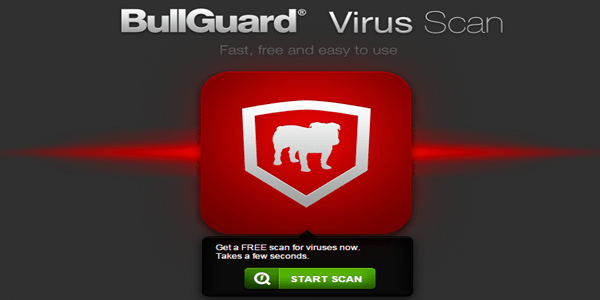 BullGuard is another online virus scanner that offers super fast scan of every single file. Indeed, within 60 seconds you will get the results of your scan and you will know of any known threat. Still, 60 seconds might not allow the scanner to dig deeper and find more sophisticated alerts. In addition, it does not provide any solution for removing the threats; for that, you will need an antivirus program installed. 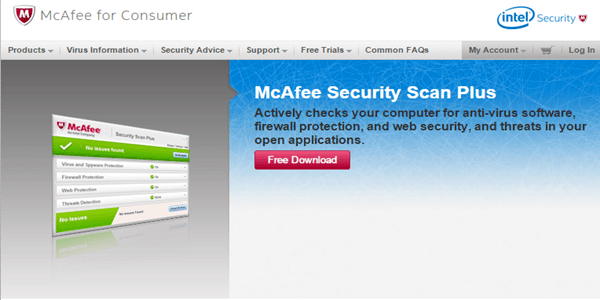 For quick and effective virus scan, McAfee Security Scan Plus offers the solution. After installing it, you can schedule automatic scans that take place at regular intervals and help detect any malware, Trojan and other suspicious files in your computer. It does not slow down the performance of your computer. Once threats have been detected, McAfee will alert you and suggest the proper McAfee tools for removing this very threat. 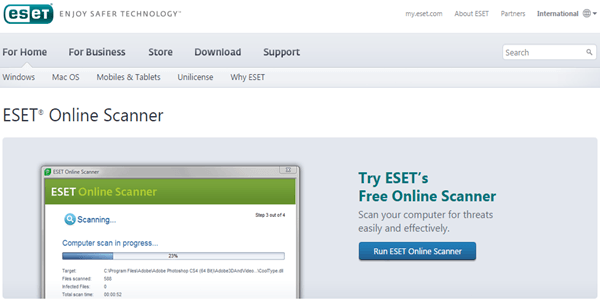 ESET Online Scanner offers free services to people who are concerned about malware and other viruses on their computers. You get one click activation and anti-stealth technology, as well as the opportunity to scan specific parts of your computer and decide whether you wish to quarantine or delete the files that are detected as malicious. Since it is not a full antivirus program though, it does not provide any real time protection options. 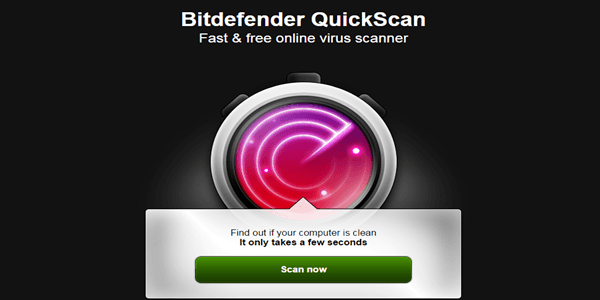 BitDefender Free Online Virus Scan is a fast scanning option for everyone interested in checking the vulnerabilities on his computer, when it comes to malware and such. Though it does not provide any cleaning and removal solutions, it tracks down the threats and motivates you to delete or quarantine them with the use of an antivirus program. QuickScan runs only on Windows, which can be a problem for many people using other OS. So, there you have the best sources to perform virus scan online without having to spend a penny. You need to check through their advantages and disadvantages, as well as prioritize as to the features that you value the most. According to the OS that your computer is running on and based on whether you prefer using an online tool or having the program installed prior to using it, you can choose among these virus scanners. Share your experience with us and comment on the online virus scan services and tools that you use. Just remember that these tools do not in any way substitute the antivirus software of yours; so, use them as an additional defensive line and enjoy your risk-free computer!